Machine structure is made using AISI 304 and all contact parts with liquid are of AISI 316L. 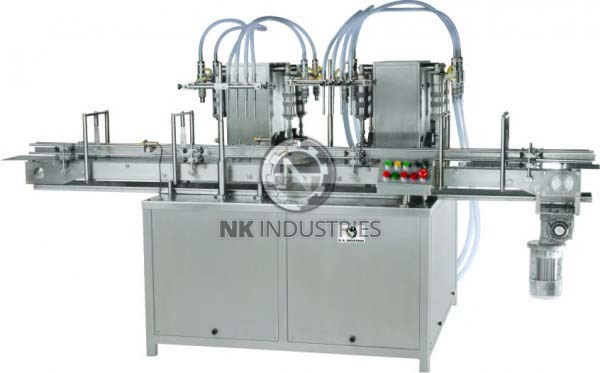 Machine is capable to fill from 5 ml to 500 ml in single stroke and above 500 ml can be handled with double stroke. As an optional, Machine can be equipped with Buffer tank of 150 litre capacity.